The Heartland Community College nursing program is celebrating a 96 percent pass rate for the National Council Licensure Examination (NCLEX), an exam students take to become licensed nurses. The accomplishment is a result from new strategies in place to increase student success. “We are really proud of our students for achieving such a high pass rate. When the NCLEX exam became statistically harder a few years ago, we realized there was a need to implement some program changes that would better support our students and help them do well on the exam,” said HCC Dean of Health and Human Services, Becky LaMont. One approach that facilitated high NCLEX scores is integrating a live review for the exam in the curriculum. Nursing students typically take the review after graduation. However, faculty saw an opportunity to incorporate the review into the curriculum which ultimately better prepared students for the exam. Additionally, the nursing program is celebrating higher percentages of students admitted to Alpha Delta Nu, the nursing honor society established by the Organization for Associate Degree Nursing (OADN). The organization promotes scholarship and academic excellence in the profession of nursing. A formalized partnership with Illinois State University’s nursing program has also played an important role in the HCC nursing program’s continual growth. 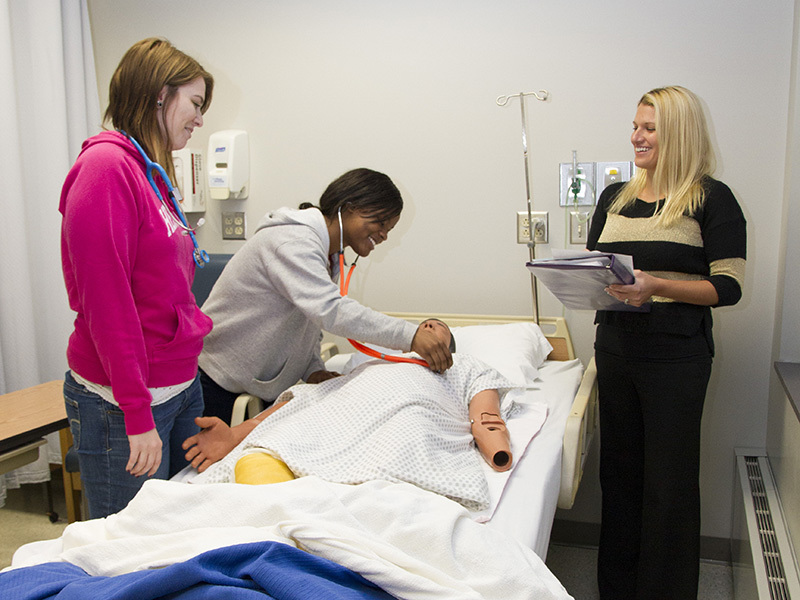 The Pathways Program allows HCC nursing students to transition from the associate degree program into the RN BSN sequence at ISU’s Mennonite College of Nursing. Students are able to complete the third year coursework for HCC tuition rates and then transfer the credits over to complete their last year of the program at ISU.